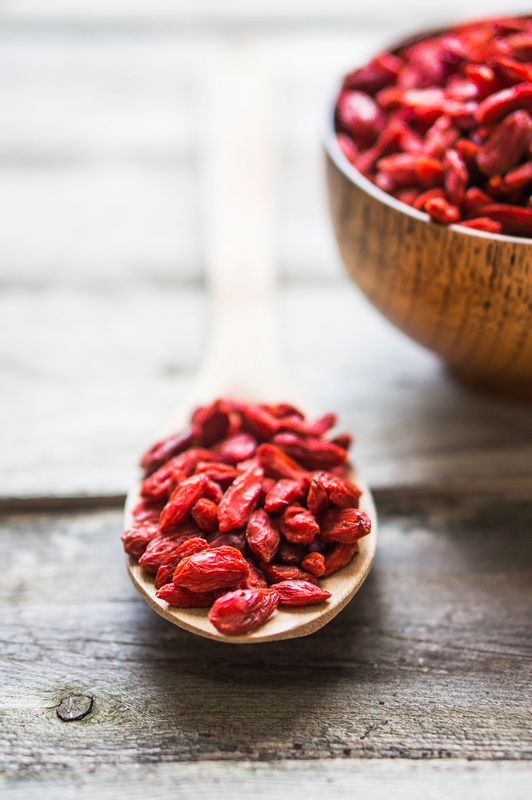 You may have heard about a goji berry before, but have you actually had it? I can say that I’ve heard about goji berries plenty before but have never actually taken the time to try them for myself until recently. There has been a long documented history about the health benefits goji berries and how they are compared to the fountain of youth. What exactly are the health benefits of these berries? Is there other information that you should know about when it comes to this health food before you start eating it? You’ll soon have all the answers you need to know about the goji berry so that you can decide if it’s right for you or not. What is a Goji Berry? 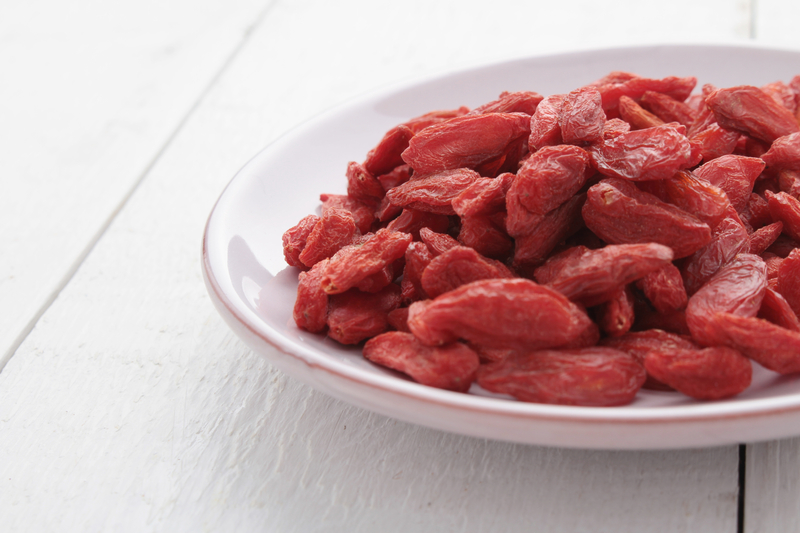 Goji berries are small, red berries that tend to have a sweet and slightly sour taste. You are more than likely going to consume goji berries as dried fruit. Dried goji berries are what you’ll see most of the time when you actually see them around in a store or market. You don’t have to eat them like this, but it’s just the way they are typically prepared for consumption. They are also known as wolfberries and are going to have a ton of health benefits that everyone should take advantage of at one point or another. If you’re experiencing the goji berry for the first time you need to be ready to have your health improved almost immediately. You’ll be able to feel your body getting healthier. I know that sounds weird or unlikely but you will be able to notice a change in a short time. There is a reason that this fruit has been referred to as a fountain of youth. It’s because goji berry benefits allow your body to stay young and feel young for as long as possible. Your immune system will not only be boosted, but you will have more protection against the flu as well. This doesn’t mean that you should completely avoid your flu shots, but if you happen to not get one, your body will be more prepared to fight against it if it needs to. The vitamins provided by the goji berry will also boost your immune system. This is going to protect you against other sicknesses as well. You’ll more than likely be able to fight off sickness better if it happens to creep into your body too. Everyone needs antioxidants in their lives. That should go without question. When your body is plentiful with antioxidants, you’re going to be able to have more protection for your cells. They will have a harder time breaking down which is something you want. If you could prevent your cells from ever breaking down then that’s a positive for your life. 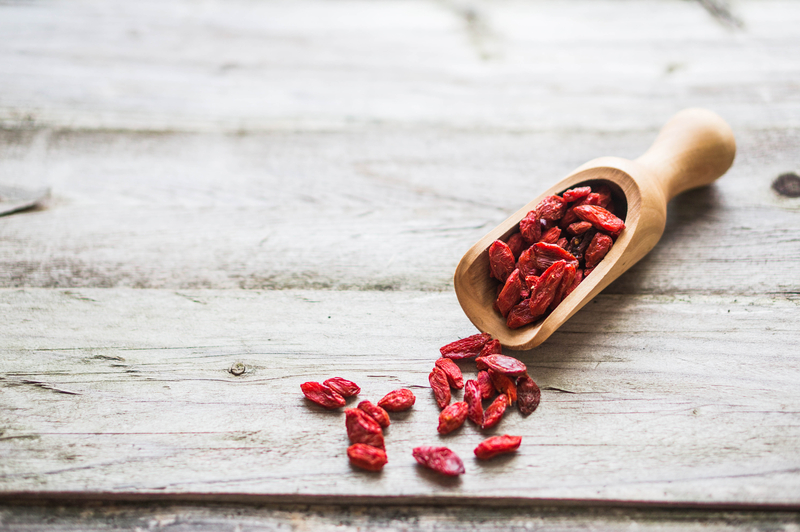 The antioxidants in goji berries are going to help more with your skin and eyes. Because your cells won’t be breaking down nearly as much, you’ll be able to have a more youthful look for a longer time. This is one reason why the goji berry is compared to a fountain of youth. You’ll have fewer issues with how your eyes look as well. They will stay nice and white without any hints of yellow creeping in. The goji berry has a long history of being in the same conversation with sexual fertility. What I’m getting at is the goji berry can be used as an alternative to Viagra. It’s been shown to improve sexual ability and sperm quantity. This almost makes you want to grow goji berries yourself. Hopefully, most of you don’t have any problems sexually, but if you do, just know that goji berries can be a solution to your problems. If you’re somebody that has a sweet tooth like me, goji berries can help with that because of their sweet taste. This is also good news for people that have blood sugar issues but also enjoy having something sweet a lot of the time. Having a goji berry can improve your sugar tolerance while also alleviating your insulin resistance. On top of all that, the goji berry can improve and recover cells that help your body produce insulin. All of these benefits are something that you should never overlook. Eating a goji berry should be something that every good diet promotes. Most of us are trying to lose weight at one point or another in our adult lives, so why not add something that you know is going to help to your diet. The goji berry is going to be great because it helps you stay on track with your healthy eating. Even though it may not taste like something that’s going to help you lose weight, it’s something that you know is healthy for you. They are high in fiber as well which will play a huge role when you want to lose weight, but we will get into goji berry nutrition a little later. Should You Eat Goji Berries? Based on everything that was mentioned above, I think that everyone should add goji berries to their diets. You don’t necessarily have to be trying to lose weight to add this to your diet. However, this is something that can greatly improve your health without you having to do much. Eat your way to a healthy you. You can start with the goji berry. This produce fruit does so much to prevent a lot from happening to your body that you almost have to take advantage of it as soon as possible. The goji berry plant isn’t something that should be overlooked. All goji berries are going to be a good source of vitamins and minerals. Probably more so than other fruits out there. All of these are vital to keep our bodies functioning the way we need hem to function. Without them, you’ll eventually need to go to the hospital because our bodies can’t survive without these vitamins and minerals. When it comes to essential amino acids, goji berries have all 8 of them. If you don’t know, amino acids are proteins found in the body and when combined with other proteins they are the building blocks of life. They help your body break down food properly. Speaking of protein, a single serving of goji berries is going to provide you with about 10% of your daily recommended amount of protein. If you want to know how many grams of protein that is, you need to do a little search since this number will vary for everyone. Not many fruits out there can give you this much protein, especially from such a small serving. Eating goji berries are going to be very good for you. You can get a ton of the health benefits as well as knowing your body is going to be better off when it comes to fighting sickness. There are many ways that you can consume the goji berry. As I mentioned before, you are more than likely going to have it when it’s dried. This allows you to have a ton of versatility with how you actually eat it. Dried goji berries can be used with almost anything. You can add them to yogurt or your cereal. They are great when added to other recipes as well. 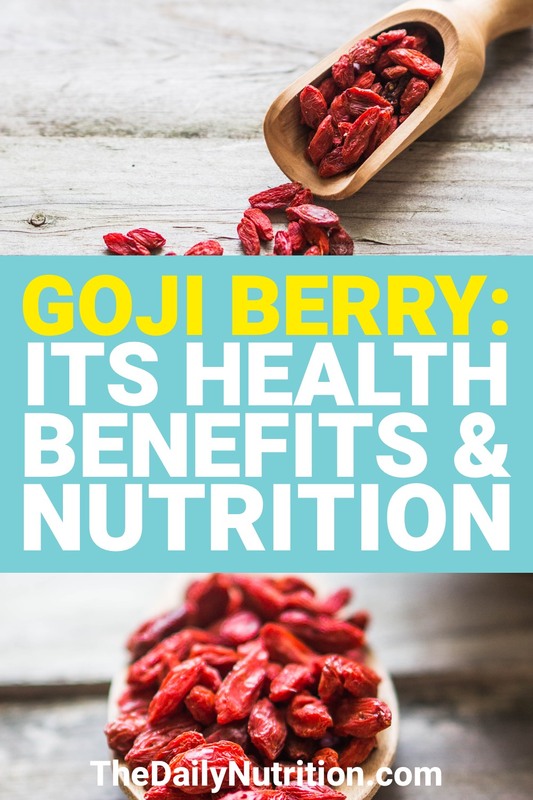 There are even goji berry extracts out there that will allow you to experience all the health benefits of goji berries without actually having to consume the goji berry. Just because you may have never had this fruit before, doesn’t mean you have to continue to stay away from it. This is a fruit that can actually change your life. Take the leap of faith and add goji berries to your life so that you can experience something that’s not only new, but life changing as well. Welcome to The Daily Nutrition! We are the The Daily Nutrition crew. A family just trying to find the best ways to achieve happier bodies. 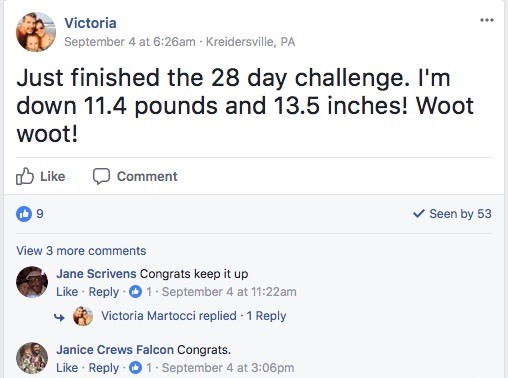 Ready to Lose 10-21 lbs in the Next 28 Days? If you're really serious about losing weight and want to create a new lifestyle for yourself then the 28-Day Weight Loss Challenge is for you. 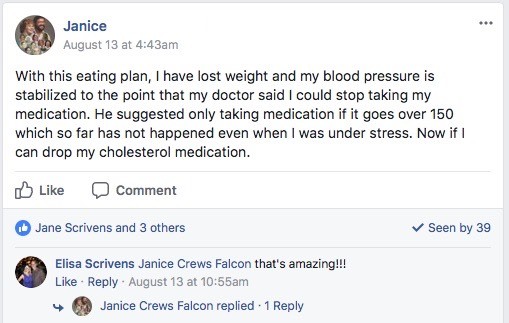 The Ketogenic Diet has changed our lives. It has turned our bodies from sugar-burners to fat-burners. We wake up with more energy, less cravings, and a better mood throughout the day. Our 28-Day Weight Loss Challenge walks you through how to incorporate the Ketogenic Diet into your lifestyle so you no longer have to worry about giving up on diets and gaining back the weight you keep on trying to lose. Sounds too good to be true, right? Well it isn't and we are happy to teach you all about it with the 28-Day Weight Loss Challenge. Enjoyed Goji Berry: Health Benefits of Goji Berries and More Info? Share it with your friends so they to can follow The Daily Nutrition journey. A lot of people could use a coffee alternative for one reason or another. Here are 10 coffee substitutes that will come in handy. Here are 13 bread substitutes that you're going to love. Healthier versions of the bread you have everyday. Cream cheese is great. However, some people can't always have it. Here are 11 cream cheese substitutes. Elderberries are a fruit that's beneficial to your health. Here are 5 elderberry benefits that you should be aware of. Fish oil is very healthy for you. But what is fish oil good for? Find out here. What is star fruit? Have you ever had it before? It's a delicious fruit that you should try. If you've never had passion fruit before, you should look into having it. Passion fruit benefits are something that you should never overlook. Finding high fiber foods isn't always easy. Here are 25 high fiber foods that you need. If you like mushrooms then you're probably looking for more mushroom recipes. Here are 13 mushroom recipes that you'll want to make. Chayote is a food that you may have never had but you need. Here are 11 chayote recipes that you're going to love. Oxtail is a food that not many have tried. Here are 7 oxtail recipes that will let you know how good oxtail actually is. Homemade jam just taste better than store bought jam. Here is a homemade jam recipe that anybody can utilize in their kitchen. Pegan: What is the Pegan Diet? What is Pegan Eating? The plan diet is a lifestyle change that will greatly improve your health. But what is the Pegan Diet? Find out here. What is Ginger Water? What are the Benefits of Ginger Water? Ginger water is simple to make, but what is ginger water? Find out here. Oat Milk: What is it? What are its Benefits? Is it Healthy? When you're looking for a solid, dairy-free alternative, oat milk is the choice. Find oat milk benefits and why you should try it here. Dragon fruit is very unique. However, what are dragon fruit benefits? Find out some benefits and more here. Kombucha is a drink that is great for your health. Here are 11 kombucha tea benefits that you need. Sleeping can come as a struggle to some. Here are 11 foods that will help you get the sleep you want. Nobody has perfect digestion but it's possible to have very poor digestion. Here are signs that you have poor digestion. Not everyone likes coffee. You need alternatives. Here are some foods that have caffeine to help you just as much as coffee.